Exercise is one of the most important and beneficial things we can do to ensure our health and wellbeing remain good balance. But quite often as our busy lives negate how we spend the hours of our days, we put the exercise on the top shelf with the good intention of getting stuck into it another day. And as we are now well into the colder, darker days of the year, starting is even harder as we will all go through that difficult internal battle of “do I walk to the shops or do I take the car?”. I know which choice I will be making when the wind is howling from the north loaded with icy rain!! So what happens to our activity levels if those rainy days become rainy weeks? Those duvet days mount up and then all of a sudden the stairs are harder to climb and your favourite jeans are only able to fit with the top button open and the belt on a looser notch! So what can we do about this? The World Health Organisation (WHO) were recently in the news for their latest publication on global activity levels. A grim read for most! Across the globe, one in every four people are physically inactive. For adults above the age of 16 in our country, only 30% are hitting the recommended exercise targets for a given week. This is placing billions of people at risk of developing a wide range of health-related issues, such as cardiovascular disease, cancer and musculoskeletal injuries. Believe it or not, doing less activity puts you more at risk of injury such as back pain or muscle strains, than participating in sports like football, swimming, cycling or running. Exercise is hands down the number one treatment for musculoskeletal pain and dysfunction. The other and often unrecognised benefit to exercise is the positive impact it places on your mental health. As the summer tan become a distant memory we are getting less and less health benefits from sunlight such as vitamin D and the endorphins released from the warmth of the sun and time enjoying the outdoors. To combat this, regular exercise can give us an endorphin boost and makes these darker days a little easier to get through. The latest WHO report shows that Ireland right up there with our EU neighbours for all the wrong reasons when it comes to activity levels. The global trend of urbanisation comes hand in hand with a reduction in activity levels in every country around the globe. As we get wealthier we are less inclined to partake in sport and exercise and are more inclined to take the car instead of opting for the bicycle. Desk bound jobs are on the rise, so too are the times that we spend sitting both at work and on the commute to work as traffic volumes grow along with our waistlines. With all the time demands of work and family life, we are not left with huge amounts of “me” time let alone time to donate to exercise. So how do we fit in some conditioning? And what are the numbers we are advised to reach? So what are the recommendations? Well the recommended guidelines for exercise amongst the general population of 18-64 year olds is that we do a total of 150 minutes of moderate intensity cardiovascular exercise per week. Each exercise session should last for a minimum of 10 minutes in duration. This included exercises such as brisk walking, swimming, hiking, tennis, badminton, basketball. The other option is to perform 75 minutes of vigorous intensity exercise over the course of the week. This includes field sports such as all football codes, gym classes, race runs. The other type of exercise that is often neglected is to do some form of strengthening exercises on two days per week. Strengthening is great at improving muscle function, balance and control. Having better strength allows our bodies better cope with the demands placed upon it by daily activities and jobs as well as the stresses we will put our body through with our cardiovascular training. So now that we have a rough idea of what we should be doing the next step is planning how to fit it into our busy lives. The first thing that we must do to get ourselves exercising more is to challenge our mindset on health and exercise and think about each day as an investment into the future. Research into the benefits to both mental and physical health can help us buy into exercise but we need to make changes into how we get from the reading phase to the running phase! Why not start by having a brainstorm into what sports are suitable for you? What do you like doing? Next do some research into what facilities and events are available to you in your local area. 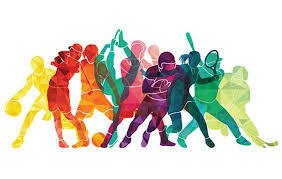 Here in Ratoath there are many different sporting clubs, all of which provide a vital service to the community and help get people socialising and exercising. Maybe contact a member or the staff at one of these facilities and see what they have to offer you. Explore the various terrains and locations that we have to offer across the country and set some goals to venture out to one. How about a stroll down the sands of Portmarnock beach, or feel the breeze at the heights of the Wicklow way? Maybe a kayak session through the waters off Howth peninsula or a stroll along the banks of the river Boyne by Trim Castle. Picking and sticking with a sport that fits you is by far the best method of maintaining an active lifestyle balance. By getting enjoyment out of the sport and making friends we are way more emotionally and socially inclined to come back again and again. This is where your long term adaptations and the real benefits of exercise occur and when you can really start to feel the return from all the time you invested in yourself. Falling in love with a sport can really be an amazing thing and take you to great highs and places too. If you find your routine a chore and a bore, why not change it up a bit? Over the years there has been a huge influx of alternate sports across the country which people might light to try out and give go. Why not try rock climbing or stand up paddle boarding? Or plan an obstacle course event for the summer of 2019? The options are ever expanding, so get out and give it a go. Don’t like exercising alone? Again get out the smart phone and start looking for group exercises or clubs. This can be anything from walking or hiking groups to gym classes. Those who exercise with friends are more inclined to continue with the exercise through both enjoyment and peer pressure to not skip off from your sessions when your favourite TV show is having a season finale! Listen to your mate, put the show on record, go do your hour and come back and put the feet up. You will feel better for it! So why not try having a strong finish to 2018 and approach the new year of 2019 as a stronger and fitter version of you? This entry was posted in Blog and tagged exercise, health.